Jim's Music Notes: Portland Mardi Gras Ball is less than a week away! This blog will cover my ramblings about upcoming live music in and around Portland and recommendations for getting out to clubs and concerts . . . . and whatever else I feel like blathering about. Portland Mardi Gras Ball is less than a week away! Portland Mardi Gras Ball is a week away! 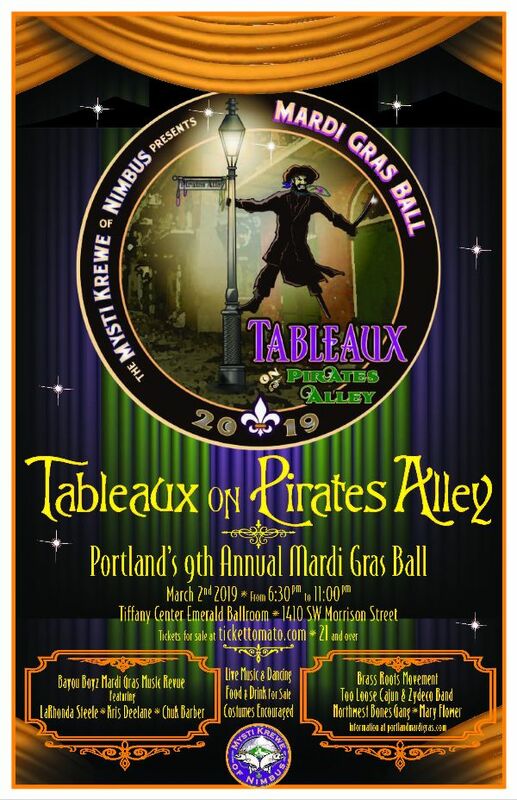 Tickets are going fast for the Ninth Annual Portland Mardi Gras Ball coming up next Saturday - March 2nd, 2019! Get your tickets for the Mardi Gras Ball! $2 from your ticket purchase goes to support music education in New Orleans and in Portland. Light food and drinks available for purchase. Parking is available on the street. The Tiffany Center is about 4 blocks from 2 different MAX stops. Doors open and music starts at 6:30, and the Ball ends at 11:00pm. Who the heck posts here?